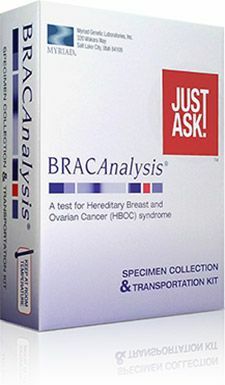 If BRACAnalysis® testing identifies the presence of a BRCA1 or BRCA2 mutation, medical management options may help reduce cancer risk and may either delay the onset of cancer, detect cancer at an earlier, more treatable stage or even prevent it. First-degree relatives of these patients are at a 50% risk for carrying the mutation. Those relatives who are positive may benefit from increased surveillance and/or preventive measures. In the OlympiAD Trial, in patients with HER2-negative metastatic breast cancer and a germline BRCA mutation, olaparib monotherapy provided a significant benefit over standard therapy by reducing the risk of disease progression or death by 42%. This practice-changing evidence highlights the need for the identification and testing of all appropriate patients for hereditary breast cancer to identify the BRCA mutation carriers in order to inform therapeutic decisions. Additionally, studies such as TNT and GeparSixto highlight the clinical utility of knowing BRCA1/2 status in patients when making treatment decisions related to DNA-damaging chemotherapy.